Display cases and espresso area at the curve. Historic stained glass panel along the rear wall. 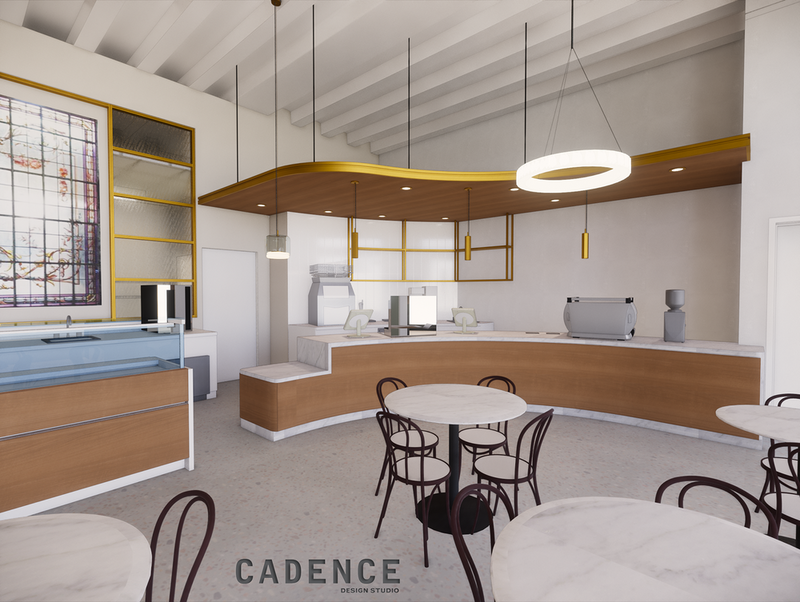 We are happy to share new cafe project under construction. Yes, it’s another Maria Empanada, purveyor of original artisan Argentinian baked goods, coming to booming area along Platte St. in Denver very soon! 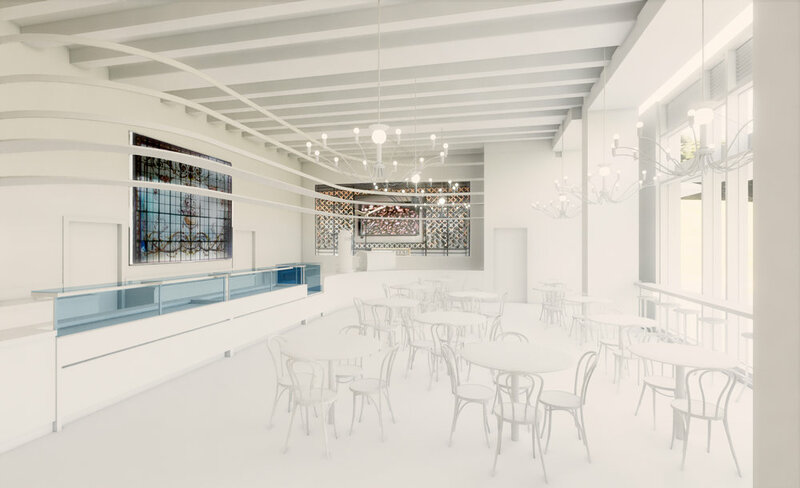 Located in the 1700 Platte St building which sits right along the riverfront, it was designed by Tryba Architects and developed by Trammell Crow, Maria Empanada will be the street-side destination for delicious eats. The space will provide plentiful seating in the café space and spill out on the front sidewalk for some additional spots to linger. 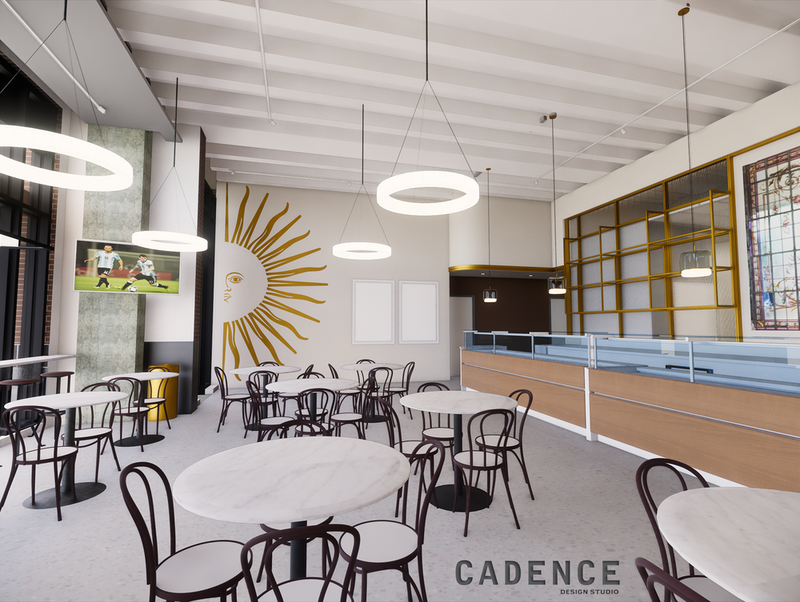 They will offer an espresso bar and the usual extensive selection of artisan Argentinian goodies. 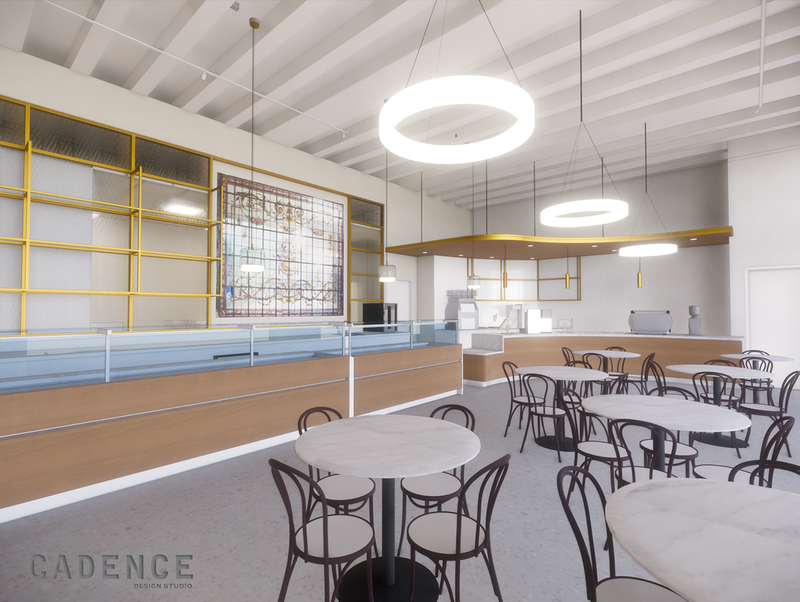 This design will be a mix of classic old world café with an authentic stained glass panel and some new accents of walnut, glass, and brass, as well as fantastic lighting. For this project we were thrilled to have the talented Chris Gebhart back to collaborate on the project (www.gebhartstudio.com). Happy to be working with Jordy Construction on this project!